Water absorbing molded carpet surface. Heavy recycled rubber mat base. 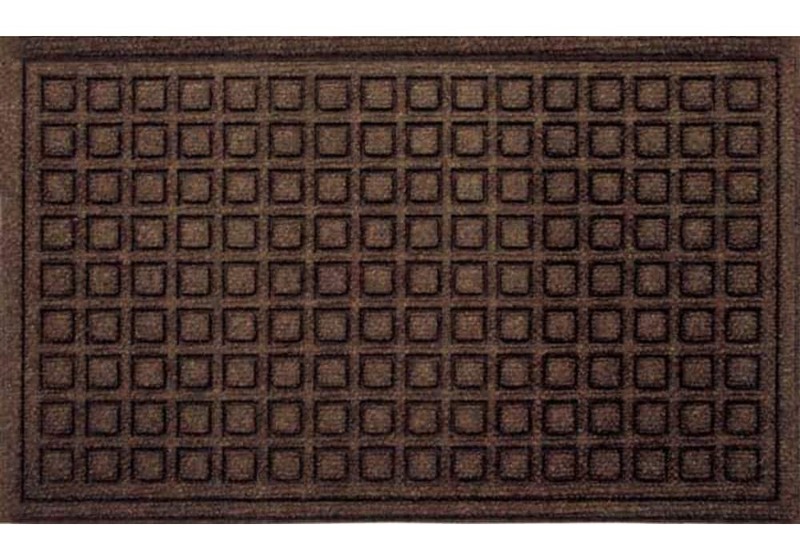 Select Size 18" x 30" 24" x 36"
Whether you are in need of an outdoor doormat or an indoor entrance mat, these door mats will suit your needs. 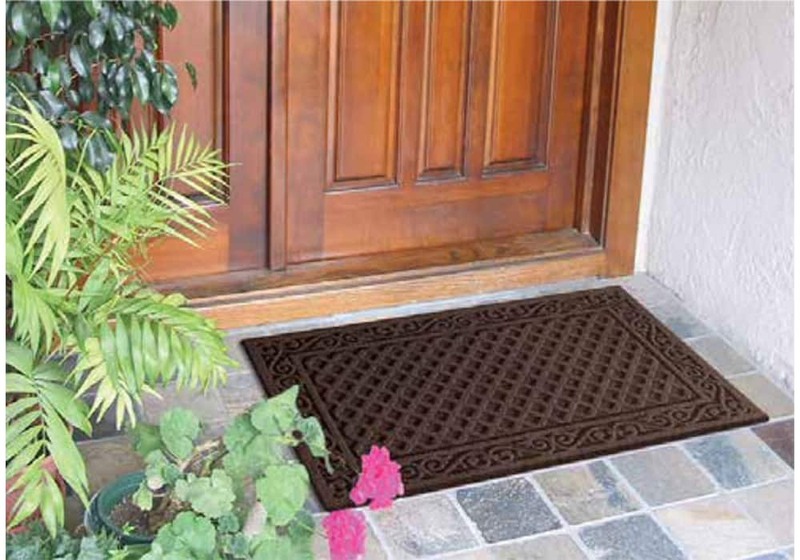 Ideal uses include: Home Doormat, Office Doormat, Entry Mat, Outdoor Mat, Front Door Mat, etc. 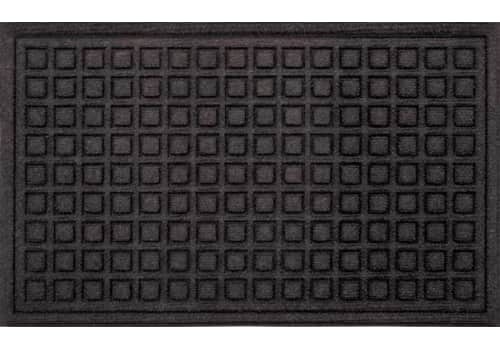 Each of these doormats uses a unique, thick, needle punch carpet made with PET fibers (extracted from recycled plastic bottles) and molded to a recycled rubber base, providing a crush-resistant surface. This mat effectively cleans shoes and absorbs water by keeping moisture in the mat and off indoor floors using a multi-directional pattern with extra deep channels. Ideal as a home door mat or office door mat. Made of heavy duty, water absorbing, molded carpet surface on top of a heavy duty, molded, 100% recycled rubber mat backing, these mats are built to last. Now you can get indoor fashion with outdoor durability. Excellent quality and helps the environment. The 100% recycled rubber backing of these mats is made from tire scraps. When you purchase any of these rubber door mats, you are helping to keep America clean by keeping these tires out of landfills! This product is 95% recycled by weight. 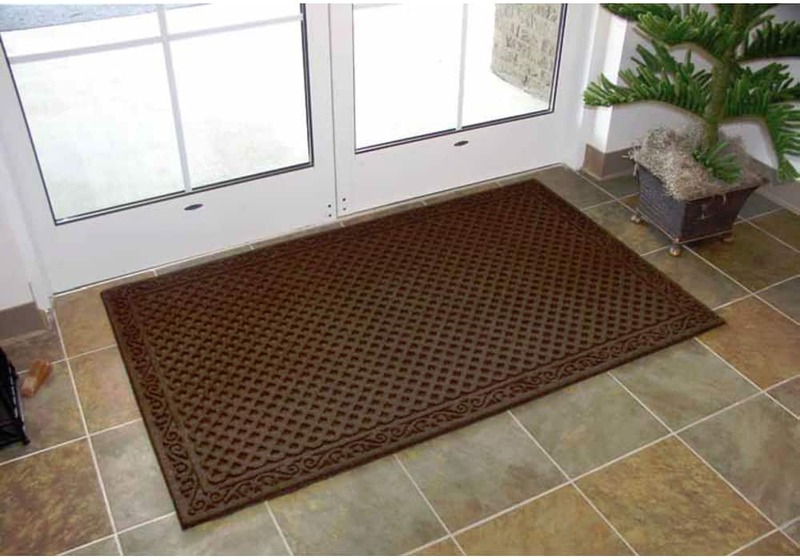 Whether you are in need of an outdoor doormat or an indoor entrance mat, these entry mats will suit your needs. 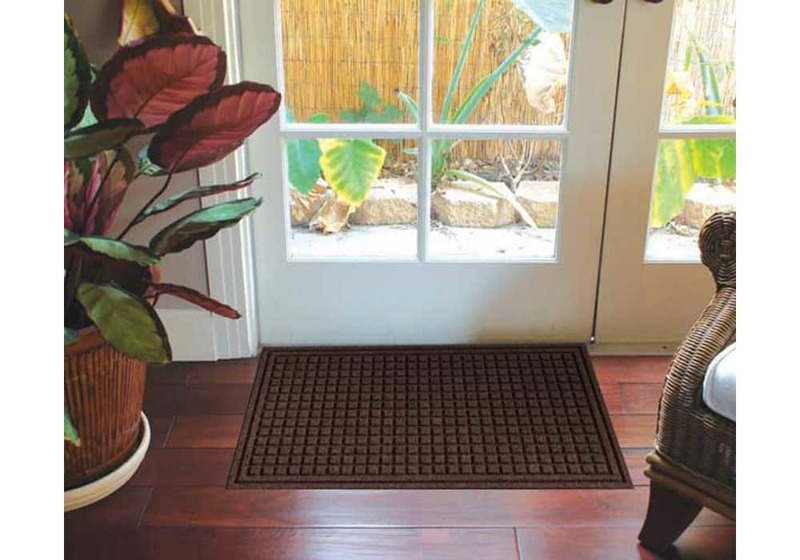 Each of these doormats uses a unique, thick, needle punch carpet made with PET fibers (extracted from recycled plastic bottles) and molded to a recycled rubber base, providing a crush-resistant surface. This mat effectively cleans shoes and absorbs water by keeping moisture in the mat and off indoor floors using a multi-directional pattern with extra deep channels. Ideal as a home door mat or and entrance mat for an office. Made of heavy duty, water absorbing, molded carpet surface on top of a heavy duty, molded, 100% recycled rubber mat backing, these mats are built to last. Now you can get indoor fashion with outdoor durability. Excellent quality and helps the environment. The 100% recycled rubber backing of these mats is made from tire scraps. When you purchase any of these rubber door mats, you are helping to keep America clean by keeping these tires out of landfills! 95% green by weight. Ideal uses include: Mat for Home Front Door, Office Door, Entry to Lobby, Indoor/Outdoor Entry and Exit, etc. Size: 18"x30", Weight: 4.5 lbs. Size: 24"x36", Weight: 7 lbs.